It’s that time of year again. The mountains will soon echo with the sound of motorcycle engines. Hundreds of people will leave their homes and comfort zones alike, taking charge of their existence with the help of two wheels! The things in life one decides to do before it’s too late are many. 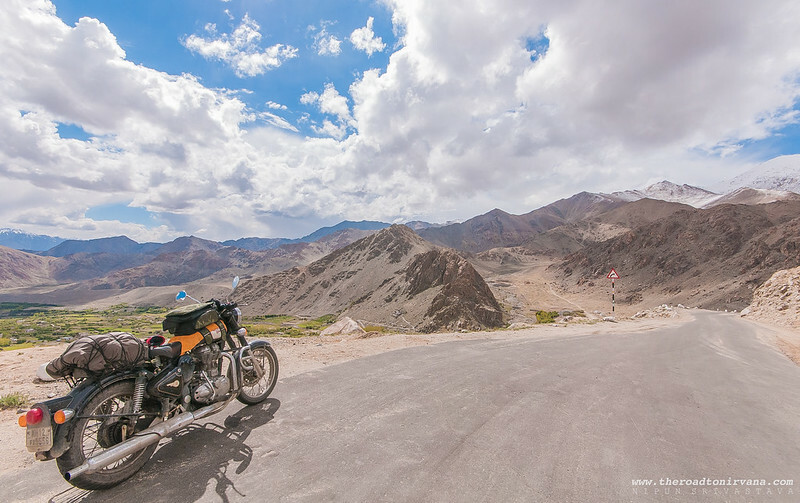 For a freakishly increasing number of motorcyclists in India, riding to Khardung La aka the Khardung pass a little distance from the town of Leh in Jammu & Kashmir, is the ultimate achievement. It is a very personal experience and an equally personal endeavour, this. 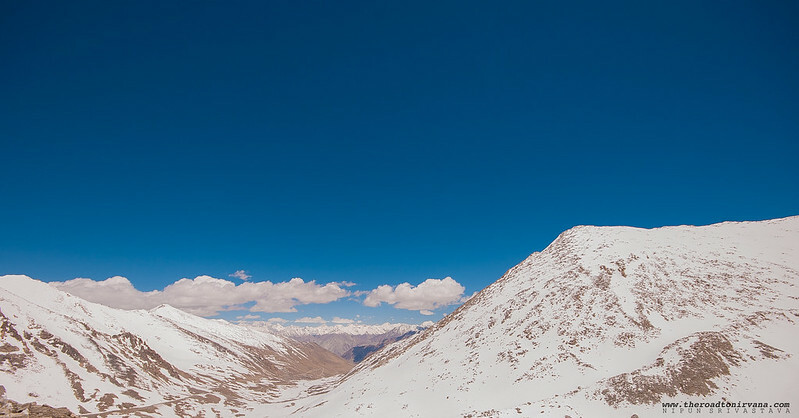 The Khardung La is located at a height of about 18380 Ft, on the way to the desert towns of Disket and Hunder. 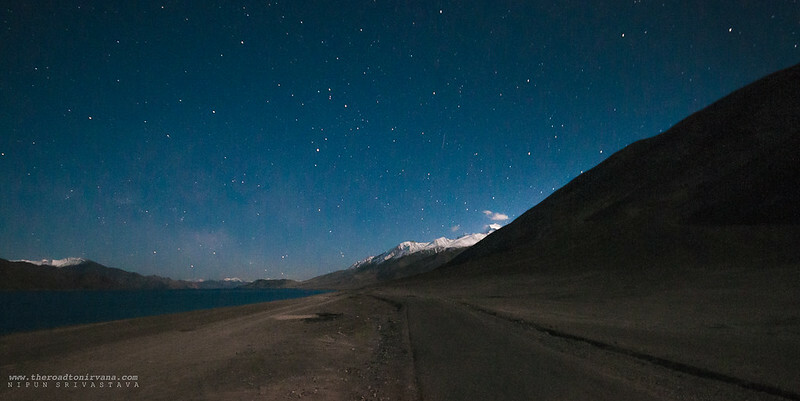 From the high altitude town of Leh (11000 Ft), the mountain pass is about 50 kilometres away. If you think there are things in life more important than riding a motorcycle over maddeningly bad terrain and beautifully dangerous roads to the highest motor-able road in the world, just ask any Royal Enfield (Bullet) rider. She/he will surely set your thoughts straight. 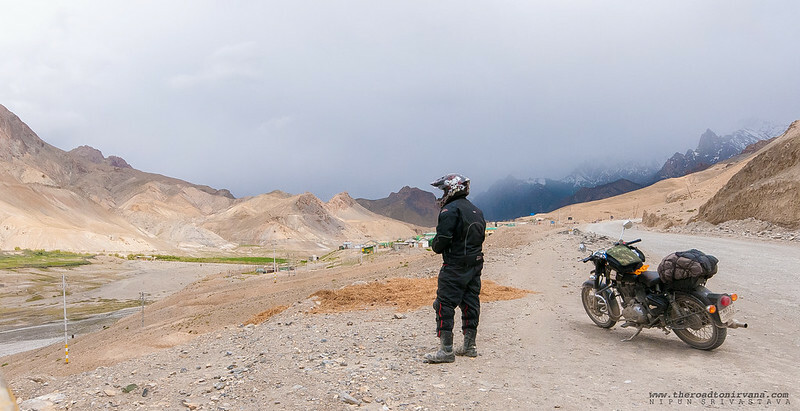 For most bikers, riding in Ladakh on the mountain roads which wind their way through the Himalayas is a challenge. Everybody can do it but not everybody does. It takes courage of a different kind to actually set out on this special road trip. The hurdles a motorcycle and its rider face when on these high altitude roads are positively uncountable. Mind you, that is a major reason why one sets out on most adventures, isn’t it? Controlling a motorcycle while riding through slush, gravel, sand and even torrential streams are just some of the things a person on this endeavour will have to endure. Not undermining the fact that high altitude always has nasty surprises up its sleeve, if you aren’t acclimatised properly. The air is thin up there, oxygen is less and so is the room for error while riding on the ultra-narrow roads. Almost 85 % of the roads are mountainous where on one side is the mountain itself and the other side is a cliff or a raging river and no, seldom will you find any barricading to save you, if you’re planning on going over i.e. One can never underestimate the power of the weather here. They say ‘If you don’t like the weather in Ladakh, just wait five minutes’ and it is actually true. 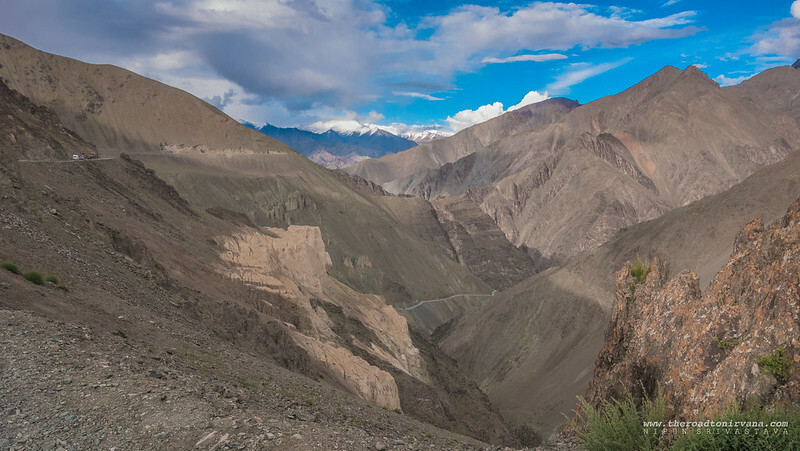 The weather can change with every blink over the Ladakhi landscape. You will be treated to ice cold rain and snow, winds fast enough to throw you off your feet and people who are as beautiful as they are calm. Whether you ride solo or you ride with a bunch of people like yourself, this adventure will affect you as an individual. Call it philosophy or call it spirituality, either way, you will be a changed person by the time you reach home. Many have said before that the isolated existence and the feeling of being removed from the ruckus of everyday life is the real reason why people go to this place. 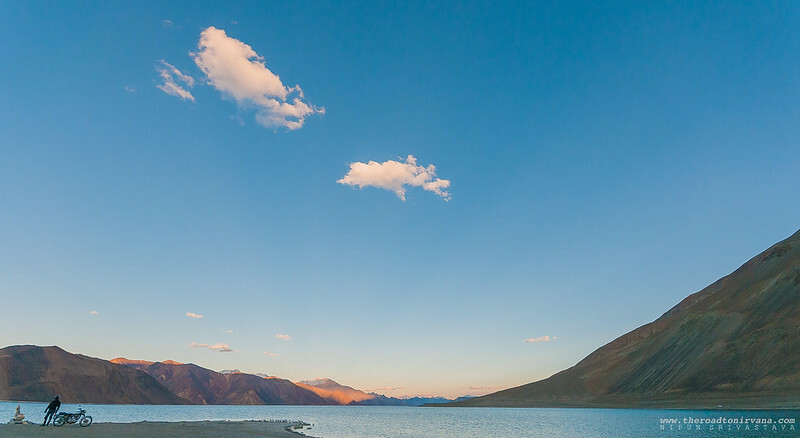 There is a lot more to Ladakh than just that. It is that place where no matter what your age, you will meet yourself, the real you. We’re not going to talk about how one should take this trip. Frankly, we have no right. Do take the trip if you get a chance though. Leave that chair, head out, stretch right up and touch the sky. Want to see more Pictures? Click on Leh & Ladakh. 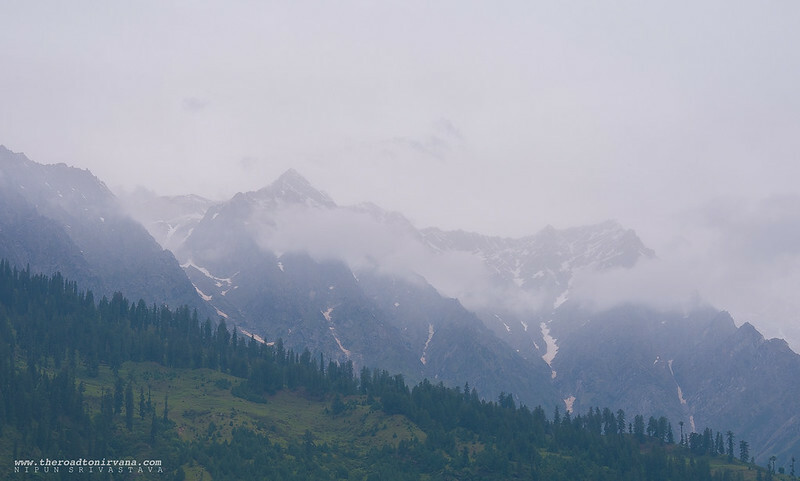 This entry was posted on August 13, 2011 by Nipun Srivastava. 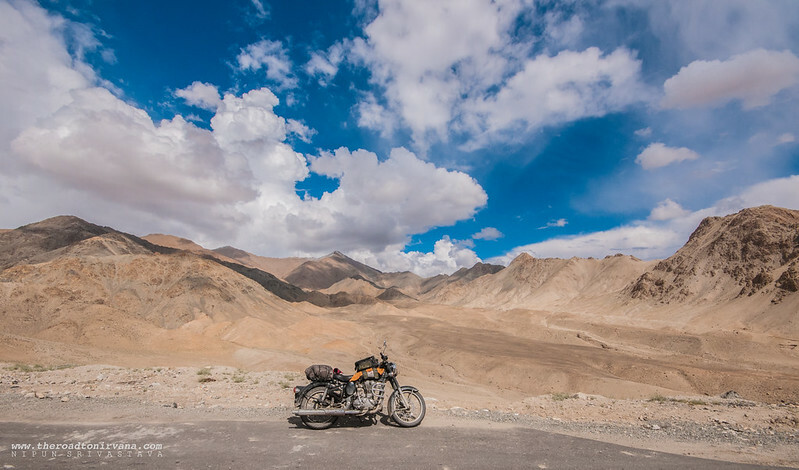 It was filed under Motorcycle Trips and was tagged with biking, bullet, dangerous, high altitude, himalayas, jammu and kashmir, khardung, La, ladakh, leh, life, motorcycle, mountains, people, photography, redeem, retribution, riding, road, royal enfield, sky, Travel, trip. Awesome pics – Loved them , I shall be there sometime soon..!